Why Enterprise Mobility Should be a Top Initiative for 2018. The world has become a highly integrated place, thanks to a wealth of ever-evolving technologies. Technology innovation has not only transformed activities on the consumer level but also improved operations for businesses of all sizes. 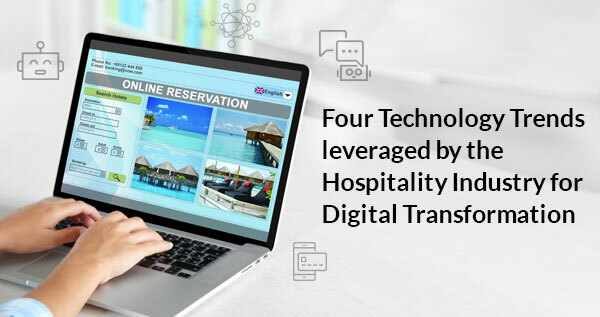 The speed at which new applications can now be developed has enabled local businesses to thrive on a global scale opening new ways to generate revenue. With Enterprise Mobility, executives now also can manage operations effectively utilizing multitude of mobile devices, irrespective of where they are. 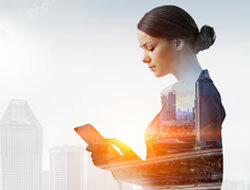 In the simplest terms, enterprise mobility is the culmination of small--yet effective--changes in your work environment, that have been enhanced for the better by utilizing mobile devices and cloud-based applications. The value of mobile is pervasive! Business meetings no longer require an office. They can be conducted virtually (even on a golf course) reducing travel costs and further expanding global communication and commerce. Consumers are now empowered with self-service options for tracking shipments and ordering products on their mobile phones or tablets. For example, a client in the Staffing and Recruiting Business has seen a substantial increase in client communication and engagement via text and push notifications via its new mobile job search platform. 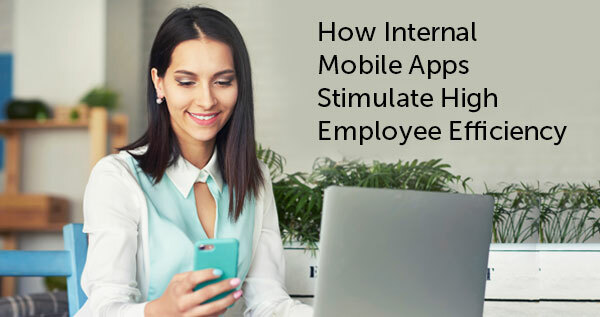 The rise of mobile-enriched, cloud-based CRM, HCM and ERP applications are enabling instant access to enterprise data and empowering virtual management of global enterprise operations. For example, a client in the Conglomerate Industry achieved significant efficiencies by standardizing processes for its contractors and employees with dynamic and smooth task allocation via mobile. Enterprise Mobility is more than checking voicemails, emails and attending calls via your mobile device. It has evolved from being about device and application management to enhancing mobile enablement across all business functions to provide an engaging and productive user experience—all while ensuring security, identity and access management. Organizations need to embrace Enterprise Mobility not only just to improve efficiencies or offer outstanding customer service, but also to sustain their business in this highly competitive and world of market disrupters (i.e. Uber and Airbnb). Real-time Management and Analysis: Enables executives to access current and historical data so they can make better decisions in real time. In cases where users are working in the field and need to capture data on the go for reporting and analysis, enterprise mobility also can play a vital role. A transparent enterprise management and reporting platform that can aid in cross-functional communication and problem solving helps reducing their dependency on IT staff. Supports Next-Gen Initiatives including AI: Enterprise interest and support for Artificial Intelligence (AI) worldwide is growing, and it extends to the mobility space as well. 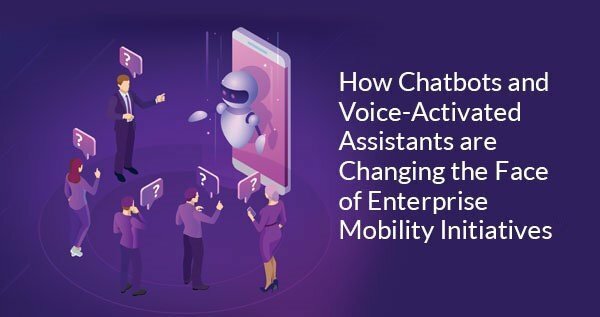 Various chatbots and voice-activated virtual assistants like Siri, Cortana, other facial recognition apps, virtual reality, and smart cars are all driven by AI. The potential of AI applications supported by enterprise mobility can be immense, in terms of both scope and extended technical possibilities. Effective Engagement Channel: Whether you want to communicate with your peers, management or customers, enterprise mobility offers the necessary channels to carry out effective and quick collaboration. This especially helps global companies with multi-level hierarchies, where a slight communication gap can cost dearly. New Market Opportunities: Mobility has created entirely new global markets and business opportunities. Business Models of mobile-based giants like Uber, Instagram or WhatsApp would not be possible without Enterprise Mobility. Enterprise Mobility has completely transformed older business operating models via digital transformation. BYOD Strategy Enablement: Cloud and mobile technologies have given rise to bring your own device (BYOD) initiatives. Enterprise mobility enables a BYOD strategy by giving employees the flexibility to access all necessary data from any device, while embracing required security protocols. There are, however, some challenges to establishing enterprise mobility. Enterprise Mobility must have provisions for security as well as address organizational processes. If organizations delay jumping on the enterprise mobility wave, they run the risk of becoming obsolete as markets shift; and they will have a difficult time keeping clients who are accustomed having access to mobile functionalities satisfied and modern employees engaged. If your organization is looking for guidance with an enterprise mobility initiative, contact us today! Ms. Joshi has over 7 years of experience in digital marketing comprising of social media management, content writing, reputation management, brand promotion and business development. As part of her multi-pronged role at Emtec, she is involved in marketing activities such as PPC campaign execution, content optimization, collateral conceptualization and creation, competitor research, market analysis, etc. Ms. Joshi is a persistent executor aiming to deliver measurable results. As a left- and right-brained thinker, she thrives to combine marketing strategy, analytics and technology with human psychology to generate valuable outcomes. Ms. Joshi is inspired by everyone who tries to make the world a healthier, happier, humane and more equal place to live.